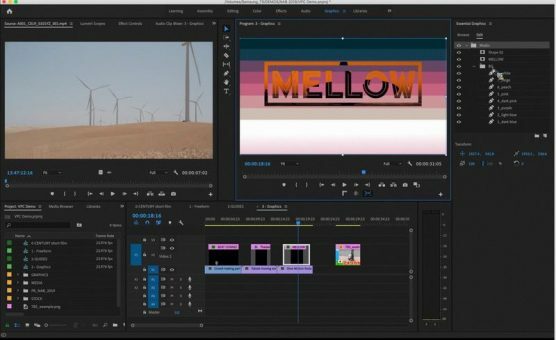 Adobe has announced performance updates and new innovations for video and audio tools in Creative Cloud, including the ability to automatically remove unwanted objects from video footage. Available in time for the NAB show, the new features include Content-Aware Fill for video, along with new capabilities for titles and graphics, crafting animations, refining audio mixing, and organising and preparing project media. Performance improvements include faster Mask Tracking for effects and colour workflows, dual GPU optimisation and improved hardware acceleration for HEVC and H.264 formats in Premiere Pro. In After Effects, enhancements include GPU-accelerated effects, such as Change Colour and Roughen Edges. 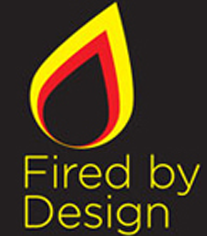 Audio tool Audition and Character Animator are also enhanced with new features and improvements. 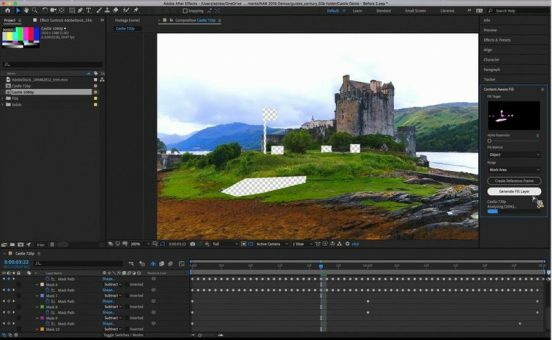 The new features are being demonstrated by Adobe at NAB next week, and on a Facebook Live session with Adobe’s Jason Levine today. 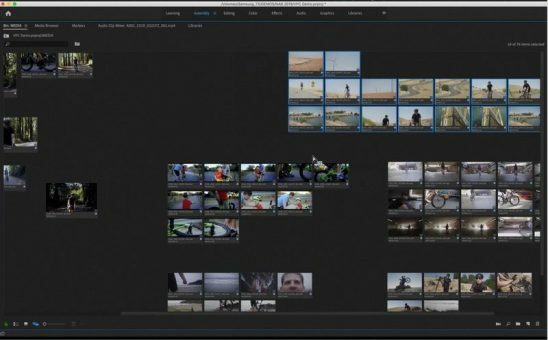 The Freeform Project panel in Premiere Pro lets users arrange assets visually and save layouts for shot selects, production tasks, brainstorming story ideas, and assembly edits. New Rulers and Guidesaim to make it easier to align titling, animate effects, and ensure consistency across deliverables. Other enhancements to Premiere Pro include improved mask tracking, better titling tools and automatic font syncing. Auto Ducking for ambient sound in Audition and Premiere Pro now allows for dynamic adjustments to ambient sounds against spoken dialogue. 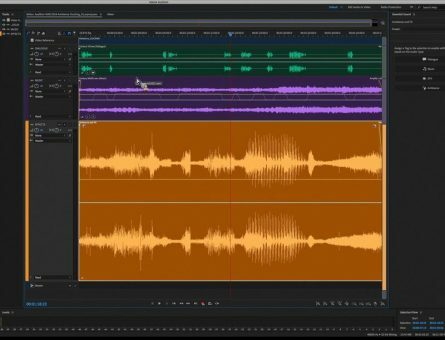 For Audition, the Punch and Rollfeature provides efficient production workflows in both Waveform and Multitrack for longform recording, including voiceover and audiobook creators. There’s also the ability to manually edit keyframe values and shortcuts to move clips between tracks without taking your hands off the keyboard. Puppet rigging in Character Animator has been enhanced, as well as improvements to jaw movement and lip sync. An improved visual interface makes it easier to tag layers and layer groups as eyes, mouth and so on. Meanwhile Characterizer, which uses Sensei to turn artwork into puppets, has been boosted with a faster UI, better results and three new styles. A new Twitch extension for Character Animator introduces Live-Streaming Triggers. This is a new way to interact and also monetise livestream performances using Bits to trigger actions. Audiences will be able to engage with characters in real time with on-the-fly costume changes, impromptu dance moves, and signature gestures and poses.